Classes are structured for beginners, intermediate artists, and advanced. For the novice, the beginning basics will cover it all. 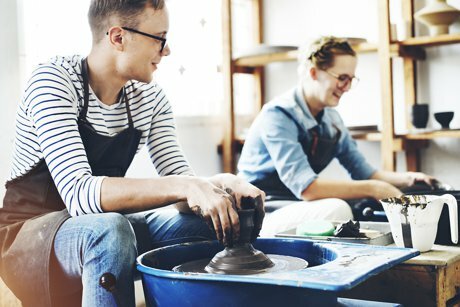 In this class, students will become comfortable learning the wheel and become familiar with molding and shaping the clay. Intermediate and advanced instruction takes place with more individual technique and detailed teaching. Lessons are scheduled in eight week sessions and available for children, adults and teens. Thrown Elements hosts periodic ceramic camps for residents of Arlington Heights real estate as well. Fun for everyone is the norm here as special events frequent the calendar. Muddy Buddies is a lovable program especially for little ones aged 3 to 6 years old. Occurring the first Friday of each month Muddy Buddies combines a short story time with crafting and painting a piece of pottery. One day workshops feature specific skills and is a great way to quickly familiarize with the art of pottery. Ladies Nights and Kids Nights are scheduled as well. There is even a Pokemon Nerd Night on September 9th with themed pottery selections, games and prizes. Thrown Elements Pottery always stocks premade items for those who want to come in and paint. Painting excursions are wonderful parent-child bonding times or great for getting friends together. Select something wonderful to display in your Arlington Heights home. With an extensive menu for both breakfast and lunch it may take some time to decide. 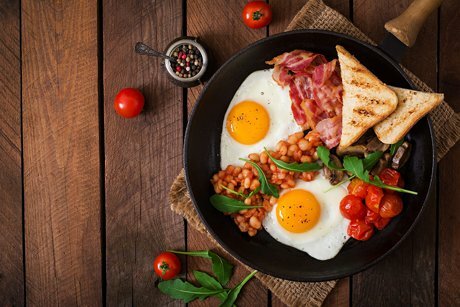 Breakfast choices are bountiful and include both traditional meals combining eggs, meat and potatoes to waffles, pancakes and biscuits and gravy. Breakfast In A Skillet comes in eight styles including Mexican, Greek and Country. Fluffy pancakes, waffles and french toast are smothered with butter and warm, homemade maple syrup. New and seasonal options include the decadent Orange Creamsicle Pancakes and Pina Colada Waffles. Daily lunch specials bring in weekly regulars who live in Wheeling. Wrap Wednesdays feature the Zesty Feta Chicken wrap, the Turkey Ranch Wrap and five others. Fish Fridays highlight the fried breaded Scrod Fish Sandwich. Enjoy burgers and sandwiches everyday. There are plenty of choices on the low calorie section for those trying to watch their figures. And,The Original Granny’s prepares a dozen different salads too. Stop in anytime from 6 a.m. to 4 p.m. seven days a week. Save some time and call your order in at The Original Granny’s at 847.541.0230 and pick it up ready to go. Take a trip back into time without leaving Buffalo Grove real estate at the Raupp Museum. Featuring three extensive exhibits this Buffalo Grove property details the local community history. Residents can view artifacts and memorabilia from days past and wonder at the way things transpired. The Main Gallery journeys from the town’s earliest days with the Potawatomi to current modern times. In the Crossroads Gallery guests can literally place themselves in the 1900’s. Here the Wiedner General Store waits for shoppers to search the shelves. Next door, visitors can listen to an actual telegraph while imagining waiting for their train at the Prairie View Train Station. 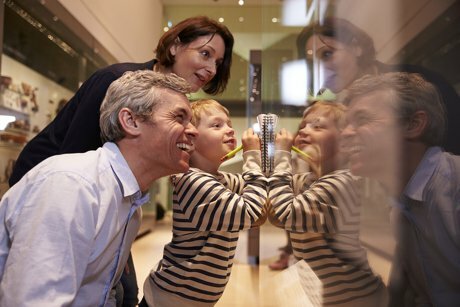 The Lower Gallery showcases travelling exhibits with the last focusing on the connection between music and history. Special events are often on the calendar at this Buffalo Grove property. Upcoming fall projects include crafts for the kids, and educational programming in conjunction with local Buffalo Grove schools. There are plenty of opportunities for residents in the area to volunteer. Whether helping out with celebrations or in the collections becoming involved is a great way to spend some extra time. Official Raupp Museum hours are Monday through Thursday from 11 a.m. to 4 p.m. and on Sunday from 1 to 4 p.m. A friendly staff awaits those wandering by. If the doors are unlocked those passing by are welcomed in. For those who want to learn more about Buffalo Grove history, a detailed chronology is available online at The Raupp Museum website.